ALBANY, NY (WSKG) – Democrats are poised to lead the state Senate starting next month, but they will still lack power on the state’s ethics panel. A law implemented several years ago will allow Republicans in the chamber to hold the majority of seats. But JCOPE has had a troubled history. The panel, which also oversees all of the lobbying activity in the state, has been criticized for secrecy and lack of action on several major scandals that have occurred in recent years. 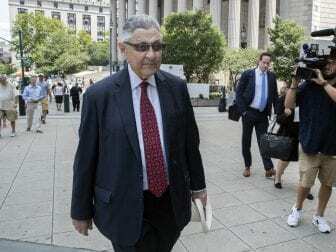 That includes corruption that resulted in the convictions of two former majority party legislative leaders, Sheldon Silver and Dean Skelos, as well as several of Cuomo’s former top aides and associates. The commission also found sexual harassment accusations against a top Cuomo economic development aide to be not credible, and members never spoke to a woman who filed a complaint alleging that former Senate Independent Democratic Conference Leader Jeff Klein forcibly kissed her. JCOPE also was designed with some protections for the majority party in each house at the time, the Republicans in the Senate and Democrats in the Assembly. The two majority parties were each awarded three seats on the commission. The minority parties in each house are permitted to name just one commissioner each. But there is no provision to change that arrangement if either the Senate or the Assembly flips and the other party gains control, as will occur in the Senate in January when Democrats take over. The Senate Democrats still will be allowed only one seat on the commission, while Senate Republicans will continue to have three. Blair Horner with the New York Public Interest Research Group, a reform organization, said the arrangement is another example why he believes JCOPE is too political for it to be an effective watchdog. In addition to the eight seats held by legislators, Cuomo controls six seats on the commission, for a total of 14 commissioners. All of the commission’s executive directors have been former Cuomo aides or allies. Horner recommends scrapping the entire panel and putting in a new ethics commission that is not run by political appointees. Cuomo, when pressed during a debate in the governor’s race this fall, said he would back measures to make the commission more independent. The lone post on the commission allotted for Senate Democrats is currently vacant. The minority party Republicans in the Assembly also have not yet filled their one seat after a previous commissioner left.